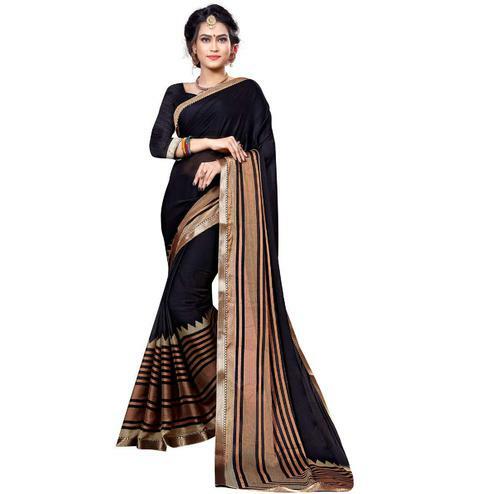 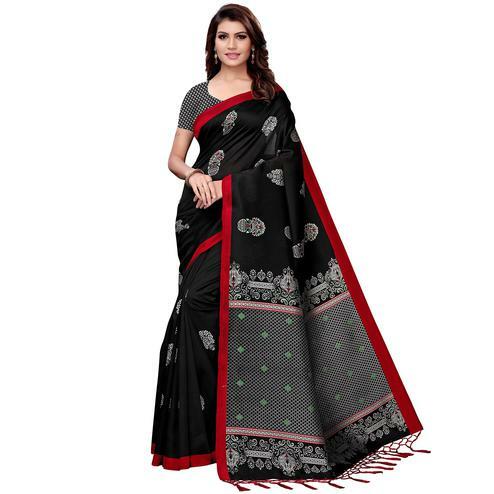 This black - beige colored saree made of bhagalpuri silk is perfect for your daily wear. 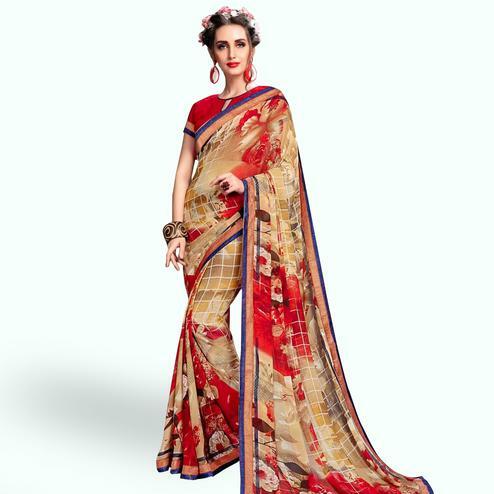 The saree is beautified with its floral & geometric pattern print work. 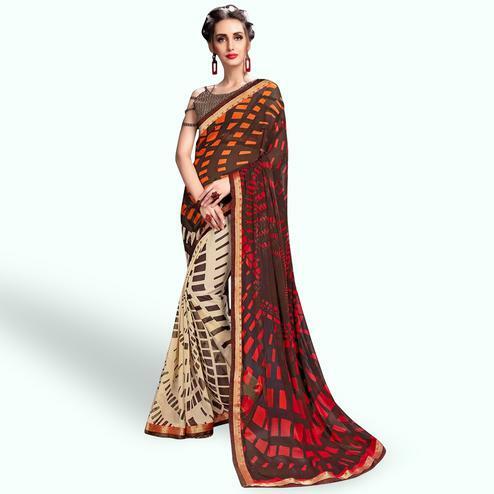 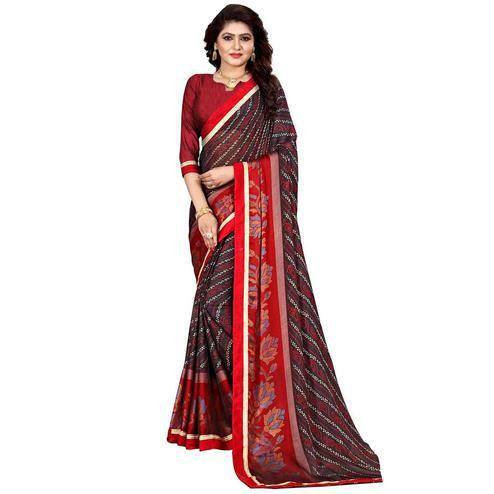 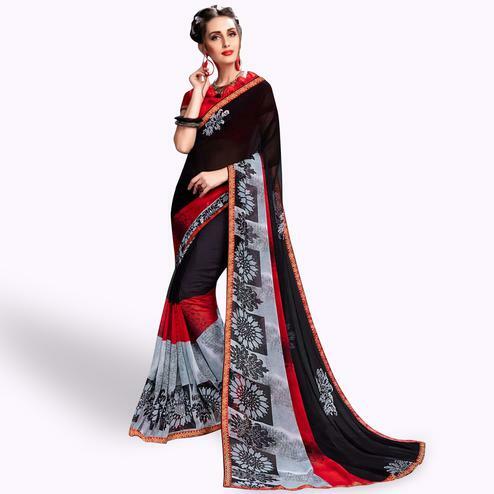 The contrast color blouse comes with this saree that makes it look more elegant. 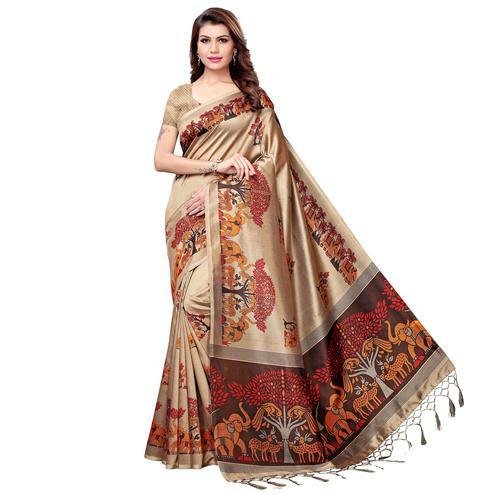 You can wear this saree for casual & social get together.